My dad taught me to fish. In fact, when I was a young boy and on through my teen years, my dad was my fishing buddy. My best friend. Still is. Truth be told, we don’t get out much anymore. Work, distance, family, life; you know how it is. That being said, we still try to hit the Susquehanna Flats, or take short jaunts out of Crisfield when we can. Dad is 83 years young and still going strong, so I’m going to make a renewed effort this year to get him on the water more. Or maybe I’ll just go walk the trout stream with him. 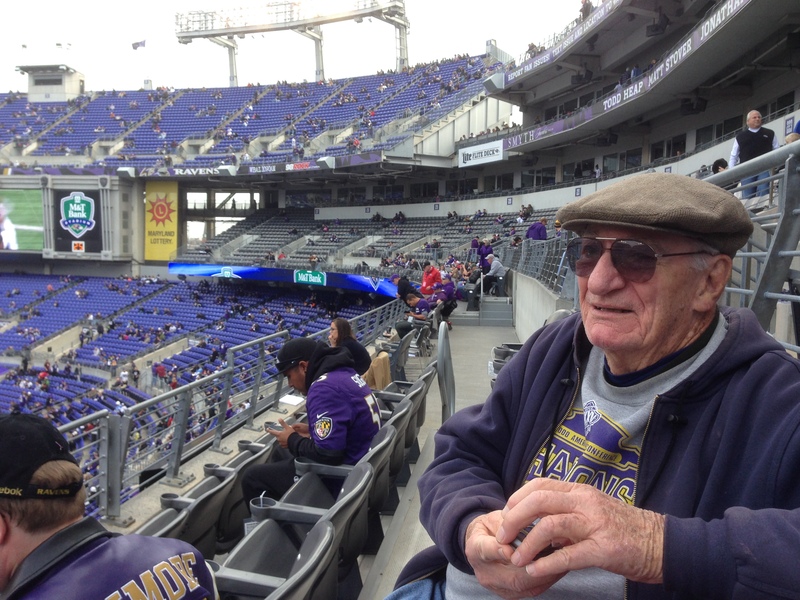 But I digress… A couple of years ago Dad wrote several short stories about his fishing experiences while growing up on Middle River in the upper Chesapeake Bay. While I hope to publish all of them at some point, I thought I’d start with the Fly Rodding piece as this has always been his favorite form of fishing. I hope you enjoy it. I retrieved the lure part way to the boat and laid the rod across the seat letting the lure float a few feet behind. Taking hold of the oars I started to move the boat to a new position along the shoreline. I could see a bass finning slowly under the dead tree about 40 feet away and he was my next target. As soon as the boat began to move there was an explosion in the water where my lure had been resting. I grabbed the rod as it started going over the side and was on to a nice bass. Welcome to the world of bass on a fly! I had never even held a fly rod until this day, in my 15th year, and I hardly knew what I was doing. Lesson learned – A lure doesn’t have to be moving rapidly to catch a bass. Lesson 2 – If you are quiet enough you can catch a bass even though he can see you and/or the boat. Lesson 3 – Bamboo rods were not my thing, I never did get proficient with a split bamboo rod. I broke several tips in the first couple years before getting my first True Temper hollow steel rod (they also broke after a while from interior rust and metal fatigue), thank heavens for the coming of glass. I will say that casting was much smoother with split bamboo (for me, anyhow) than any thing I have used since. The spot I was fishing was in Hogpen Creek, a tributary of Middle River, Maryland. The water was crystal clear and about a foot deep along the shoreline. For the first time in my life I was trying a fly rod, having often been told by my father about how the legendary Joe Brooks would catch any kind of fish on this long, thin stick. This year of 1946, waters in this area were unaffected by the polluting effects of heavy boat activity and extreme sedimentation caused by boat wakes and runoff water from the many asphalt parking lots now in existence. In addition, the area was thick with the various grasses fishes need for cover and food sources. 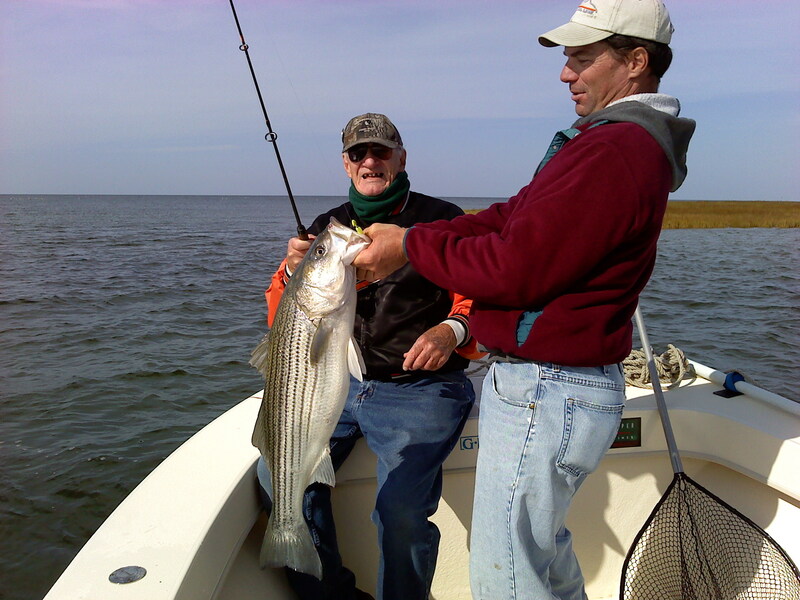 Bass, thanks to the planting efforts of clubs such as the Baltimore County Fish and Game Protective Association, were very plentiful in the Middle River area and were not heavily fished. I was casting to the bass that I could see in the clear water because I had not yet learned that proper cover will contain many more fish than the open water where I was seeing them. Naturally I spooked many more than I attracted and my results were slim. But I learned. I had no one to teach me the basics of fishing for the largemouth bass on a fly so it was all trial and error for a while. Before long I learned to drop the popper in a hole in the grass and just wiggle it without retrieving if the hole was small, or to drop the fly at the far edge of the grass in a large hole and jerkily retrieve. I learned to flip the lure under piers, next to pilings, under low-hanging trees or close to sunken objects such as logs. The bass were cooperative. I stuck mostly to a single pattern popping bug all the years I fished for bass because I had learned how to present it to the fish and how to retrieve it effectively. No doubt I may have caught more by ‘matching the hatch’ but my results were sufficiently good that I didn’t even try. One incident early in my experience was exciting even though it was careless casting. I was ‘false casting’ to get my lure between the grass and the shore line when I let my back-cast hit the water behind me. I gave the rod a little more forward pressure to pick the line up and shoot the line towards my target. I heard a ‘snap’ and about 18 inches of the tip of the bamboo rod broke and the line settled around my shoulders. The culprit in this case, aside from my sloppy casting, was a 12-13 inch bass which had grabbed the fly as it hit the water behind me. Truly, I got confident and even conceited over my ability to catch a bass. Case in point! – I was getting in my boat and my father said, “I’d like to have a bass fillet sandwich”. I said ‘OK!’. I pushed the boat away from the pier and let it drift about 50 feet back to a sunken log I knew was there. I flipped the lure over top of the log, gave it a twitch, and bang! There he was. Pop and I were sitting on the pier about fifteen to twenty minutes later enjoying a fillet sandwich. The head of the 14 inch bass was still on the pier where I had cleaned him and the mouth was still opening and closing – that’s how fresh our fillets were. I came to believe that the largemouth was really a dumb fish, a fish that would almost always give in to temptation and strike a lure if teased enough. While fishing for bluegills with a #10 white miller I caught a small bass, about ten to eleven inches. He gave me an idea to try something just for kicks. In the clear, shallow water you could always see bass here and there just finning and resting. I found that if I cast that small fly close enough I could generally get the bass to take it even if it took five or six casts. The dumb fish wouldn’t even spook unless the heavy part of the fly line crossed his back. One time I placed the fly right on top of one’s head and as it slid down past his nose he inhaled it while he was just breathing. That was one surprised fish when I set the hook. (I repeated this several times over the next few years just to prove that is wasn’t an accident.) Even with the popping bug I found that you could make several presentations to a single fish and get him to take it. I still feel that if I can see the bass I can catch him if I am careful with my casting. That may not be always true but I did it enough over the years to encourage that belief. Even today, some 60 years later, the fly rod is my tool of choice when the opportunity is there. I have never come close to the size or variety of fish that names like Lefty Kreh or the late Joe Brooks have regularly caught, but a seven or eight pound striper or a ten to twelve pound false albacore “albie” on my eight weight G.Loomis is enough to keep me coming back for more. A four weight stick and a two to three pound hickory shad in fast water give the same effect. That’s what is great about fly fishing, using the proper rod and line even a palm-sized bluegill is as exciting as fish twenty times their weight. * These were mostly caught while drifting in 2 to 5 feet of water, along weed beds and using bait with only a split-shot for weight. Not typical fly-rodding but plenty of fun with such light tackle. This is going to be a great event! Fantastic tournament venue, food and fun! Mark your calendar today! 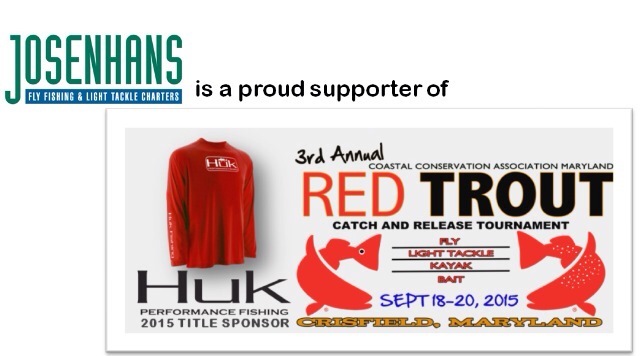 has become the TITLE SPONSOR of the 2015 Red Trout catch, photo & release fishing tournament on September 18-20th, 2015. I have fished this tournament since it’s inaugural season and I have to tell you it’s a blast. 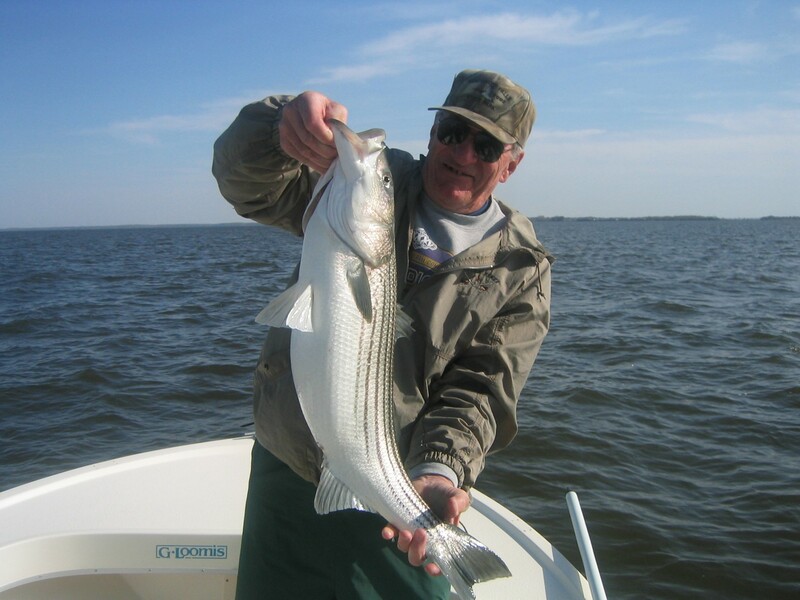 Headquartered in Crisfield, MD we get to fish some of the best speckled trout and redfish waters on the Chesapeake Bay. Click on the links below for additional info.